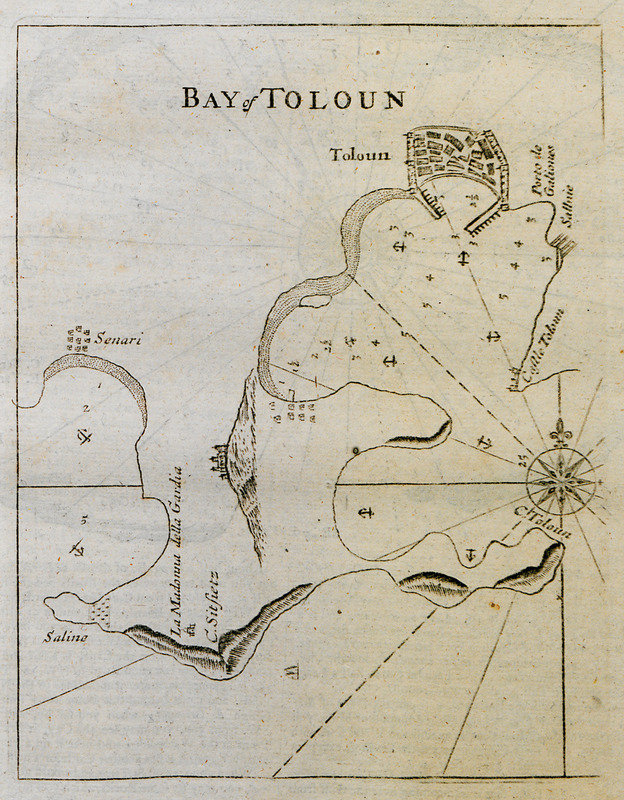 Nautical chart of the bay of Toulon. 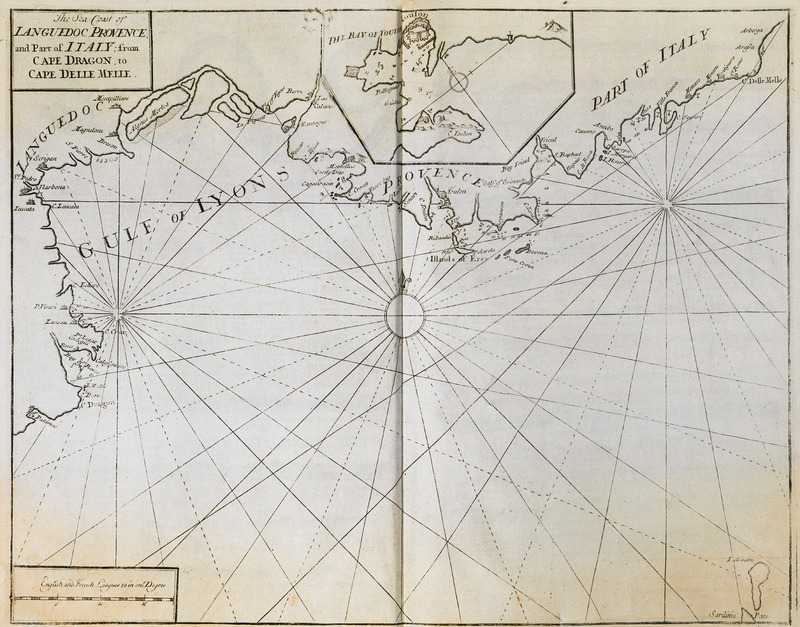 Nautical chart of the northwestern coast of Italy and France, from Languedoc to Provence. 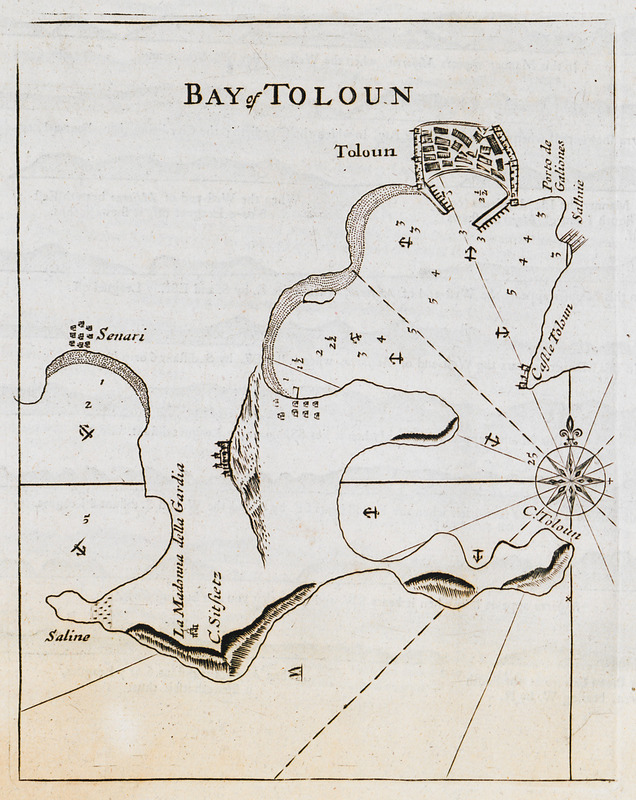 Smaller nautical chart of the port of Toulon.